With the increasing need for secure personal identification in the travel industry and specifically at airports, ACI believes that it is important to have a strong airport position on biometrics. ICAO, in cooperation with its member States, has coordinated the impending introduction of biometrically enabled passports for air travellers. It is important that airport operators understand the technology and have control over the issues that affect them. Moreover, airport operators are in the forefront of efforts to apply biometric technology to passenger facilitation, especially checkin and boarding processes. Lastly, staff access control is a mandatory requirement of ICAO Annex 17, and access control systems are increasingly using biometrics to check identity. 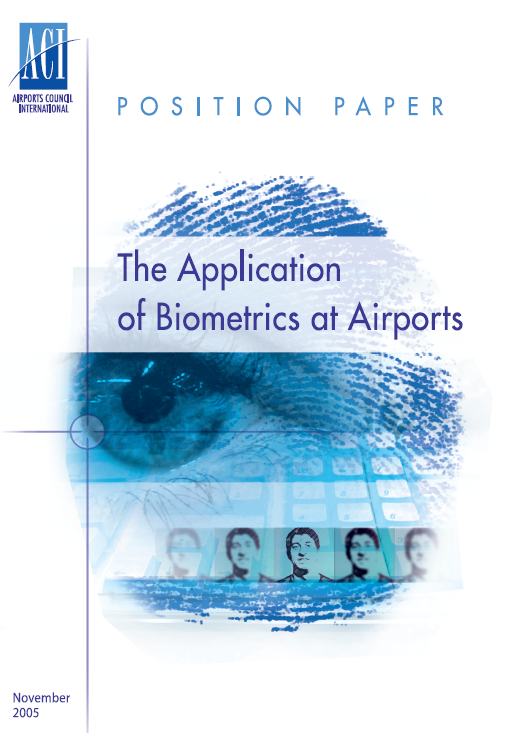 ‘The Application of Biometrics at Airports’ position paper provides general recommendations on the development and implementation of biometrically enabled programmes for border control, passenger facilitation and staff access control. It was produced by a Task Force set up by ACI’s Governing Board which approved the paper at its meeting on 6 November 2005. The Task Force developed the document keeping in mind the requirements in all regions of the world. The document has been kept to a high level, since there are many other available sources of information on biometrics, and that standards are set by other bodies – notably ICAO and ISO.